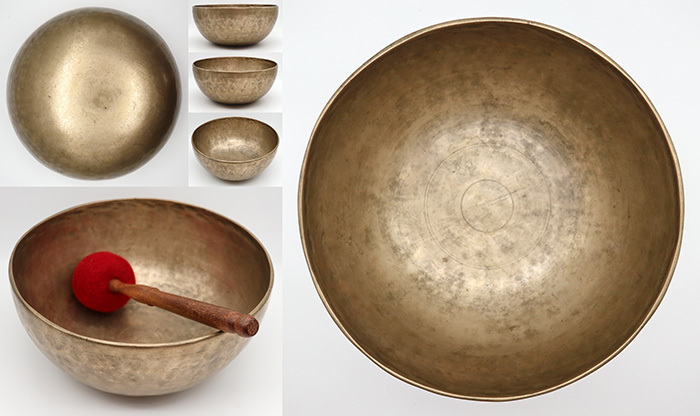 This archive features a selection of rare antique Tibetan and Himalayan singing bowls from our collection. 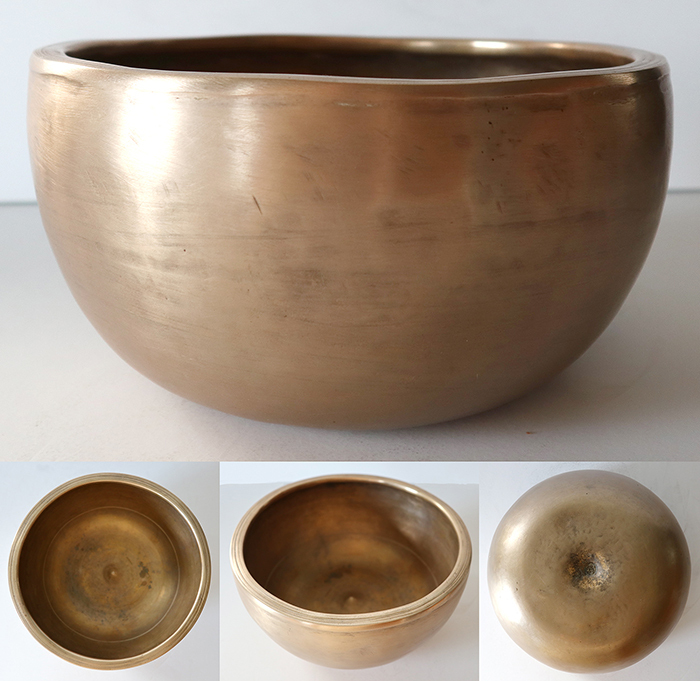 These bowls have either been sold or are not for sale (please ignore the ‘call for pricing’ tab). 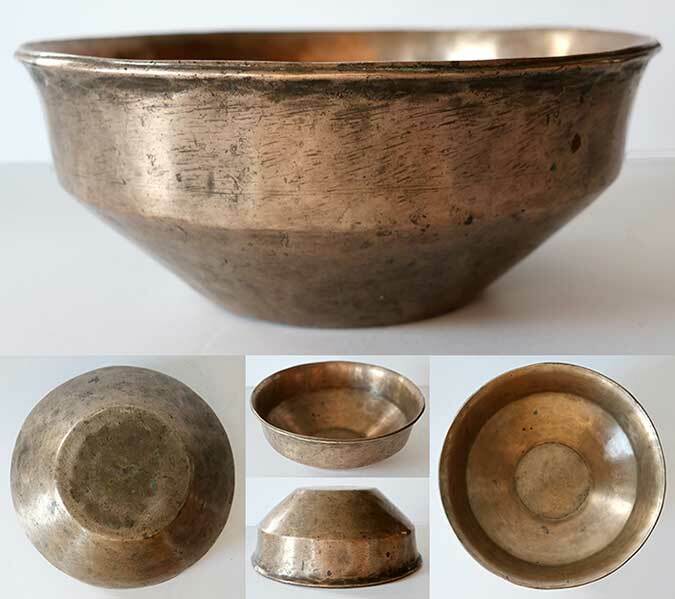 The archive also temporarily includes very recent bowl sales so that customers can view their purchases and access their images and descriptions. 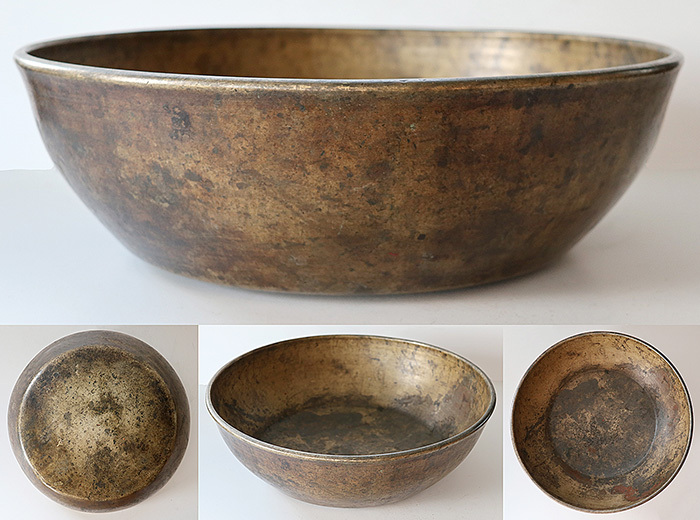 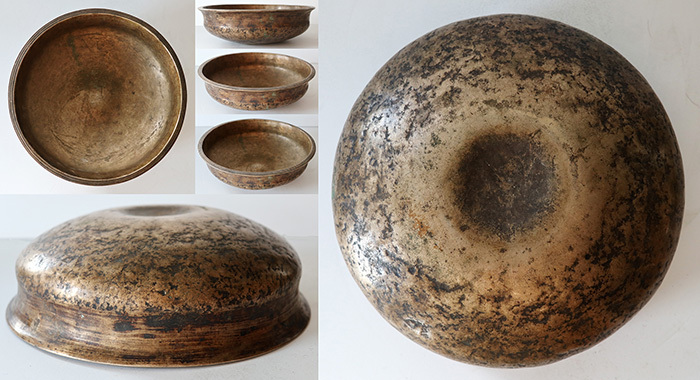 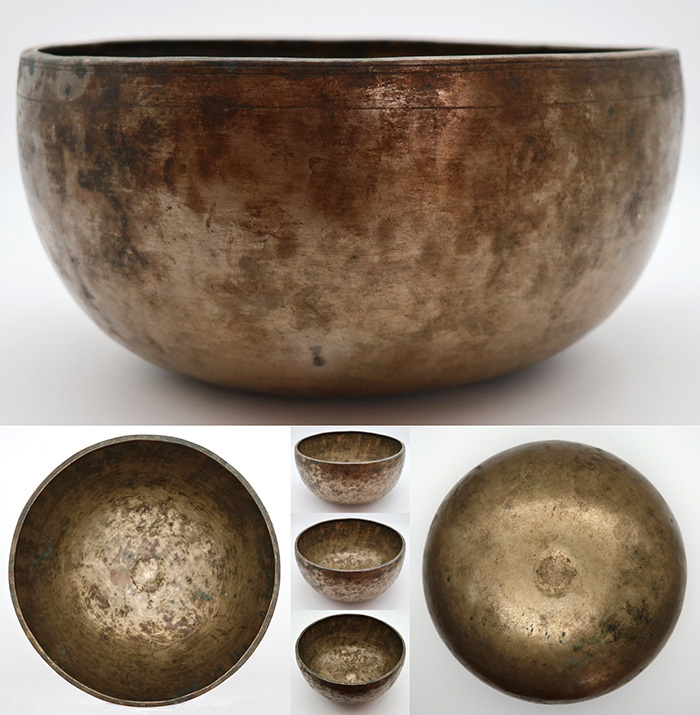 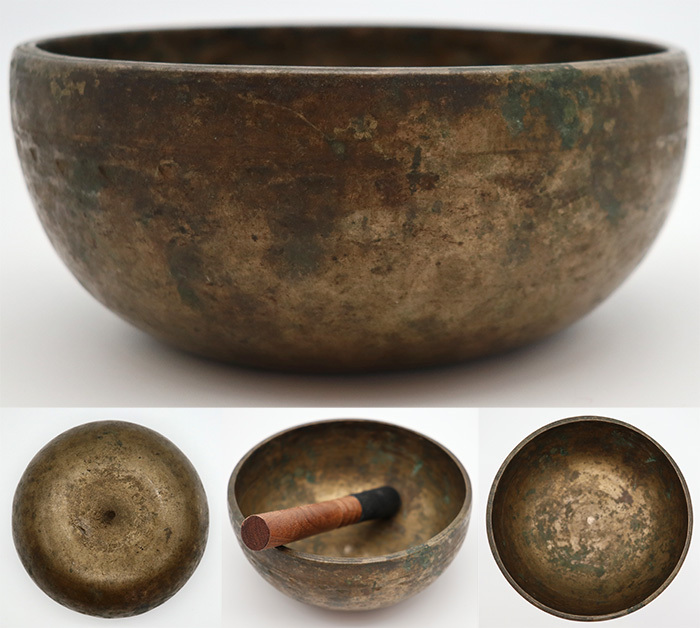 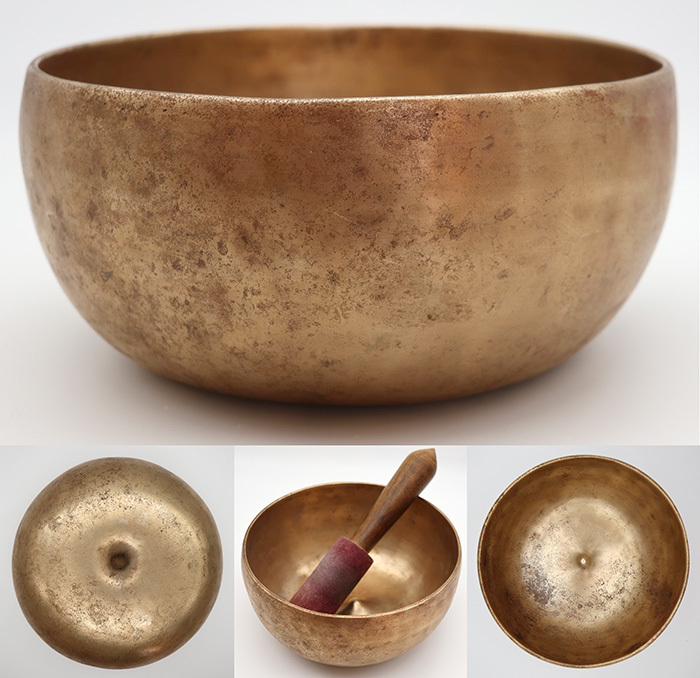 We hope the photographs, descriptions and audio clips prove interesting and helpful when studying different bowl forms and comparing the merits of one singing bowl with another. 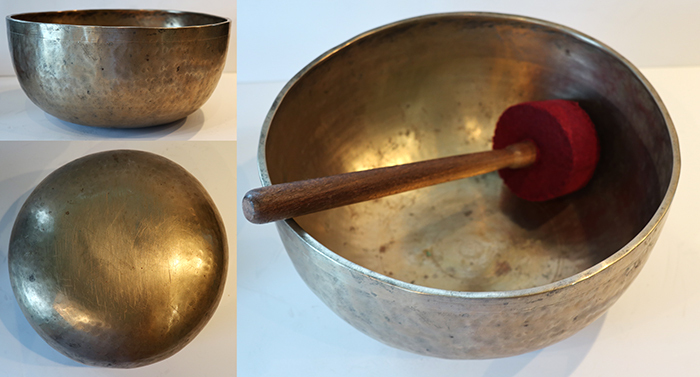 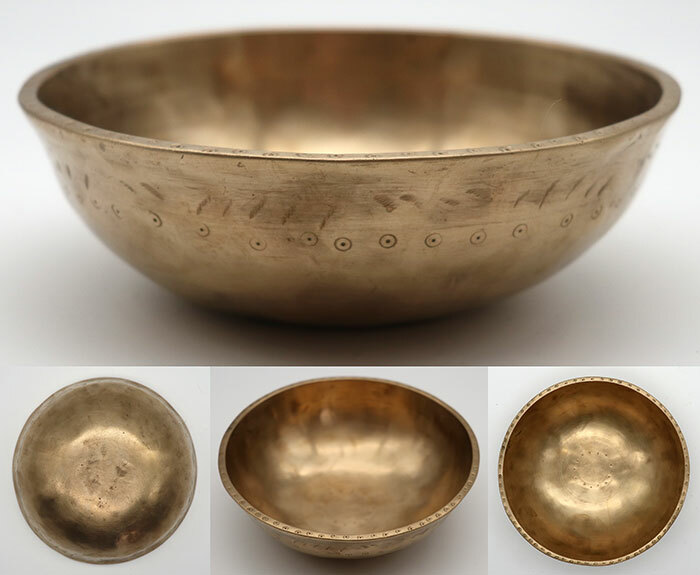 Exceptional Golden 9 ½ ” Antique Jambati Singing Bowl – 2 Perfect Pitch Notes! 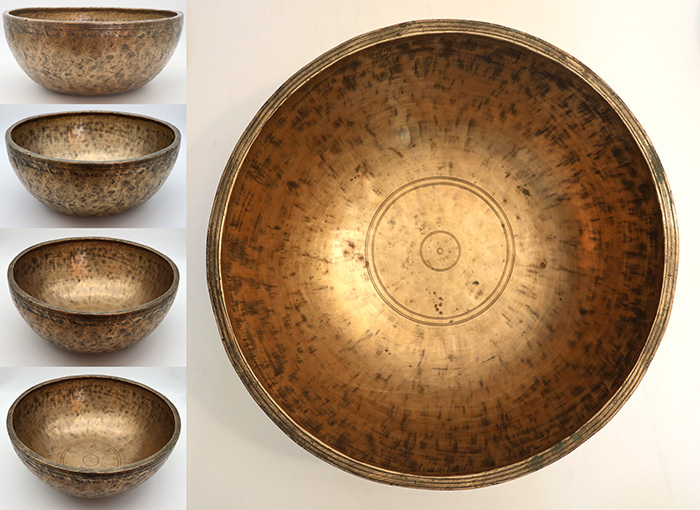 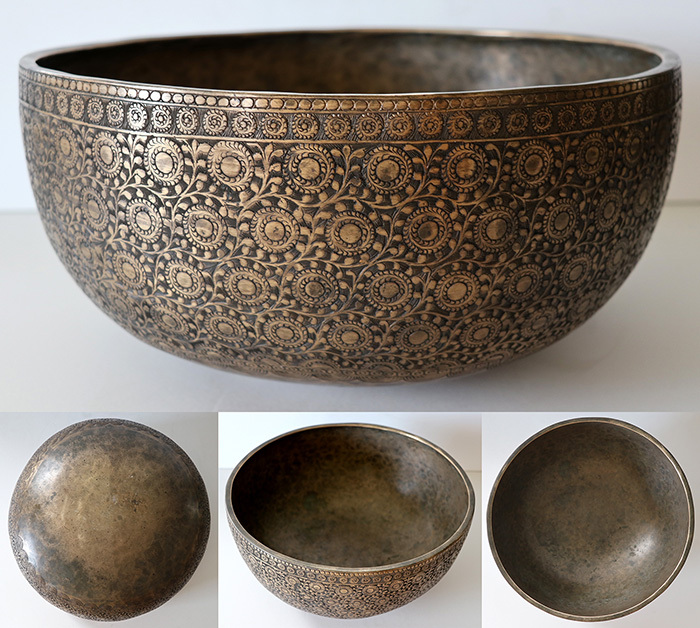 Glorious 12” Engraved Ceremonial Jambati Bowl from Bangladesh – Fabulous G#2 Voice!